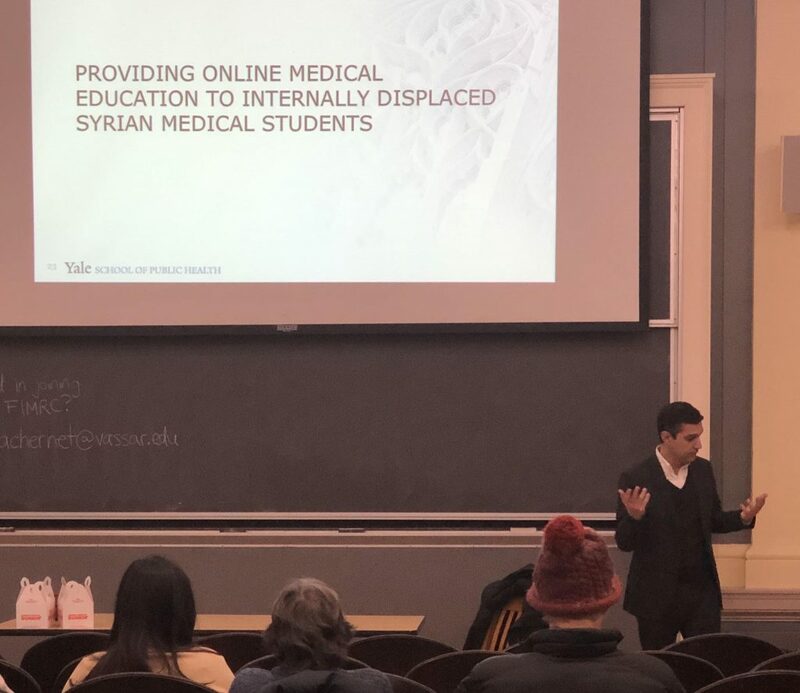 On Monday, Jan. 29, Yale School of Public Health Associate Professor of Epidemiology Kaveh Khoshnood spoke on violence and population displacement as issues of public health. Rachel Chernet ’19, a biochemistry major and President of the Vassar Foundation for International Medical Relief for Children (FIMRC), organized the evening’s event. Early arrivers gathered around a box of munchkins beneath the projector while Chernet conversed with Khoshnood, preparing the presentation. Attendees took their seats as Chernet walked to the podium in the room’s center to introduce the guest speaker. Likewise, structural violence, rooted in existing institutions that fail to protect people, is also ambiguous in its culpability. For example, when an infant dies because of a disease otherwise preventable by vaccination, there is no clear culprit. According to Khoshnood, this was the case during the various Central American Civil Wars that took place in the 1980s, when the infant mortality rate was 80 per 1000 live births in El Salvador, Guatemala, Honduras and Nicaragua—compared to 25 per 1000 live births in neighboring countries. Only when warring factions brokered a temporary ceasefire were The United Nations International Children’s Emergency Fund (UNICEF) and The Pan American Health Organization (PAHO) able to administer immunizations and humanitarian aid, after which the infant mortality rate dramatically decreased. However, providing such intervention has proven difficult in many of today’s active combat areas, such as those in Syria, because there are too many groups at war for safe-zones to be securely negotiated.